Learn how you can infuse AI across your enterprise. By scaling AI across your organization, you can unlock the value of data in totally new ways to make decisions that are based in automated, data-driven outcomes. Modernize your data architecture to put AI to work, unifying data analytics and AI within a single journey. It starts by making your data simple and accessible and creating a trusted, business-ready analytics foundation, so you can scale insights and operationalize AI with trust and transparency. Deriving value from AI is about the ability to build, deploy, catalog, and manage your models. IBM’s AI portfolio empowers you to do that for all of your models and applications, across their lifecycles. 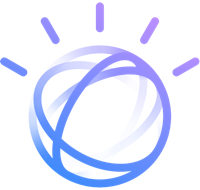 IBM can speed time-to-value with pre-built application services, a vast array of AI and industry expertise, and AI lifecycle automation, all on a single platform.